Unearthed during the reign of Alexander II, demantoid garnet has a past as rich with history as the privileged royalty whom it once adorned. Discovered in the mid to late 1800s, demantoid (meaning diamond-like) is derived from the Dutch word demant, meaning diamond. It is mined in the Central Urals of Russia, where it is found in alluvial gold washings of the Sissersk District, Nizhni-Tagil; and from the Bobrovka River. In its earlier times, it was called Bobrovka Garnet, as well. Seeing the small size of the crystals uncovered at that time, there were those who said that demantoid would never amount to anything more than obscurity. This prediction seemed even more prescient after the Bolshevik Revolution in 1917, when the Communists seized Ekaterinburg and the city was renamed to Sverdlov (after the Bolshevik, Yakov Sverdlov, who arranged the execution of the Czar). Subsequently, all fine jewelry and gems were viewed as capitalist baubles and seized. However, demantoid continued to enjoy a popularity in the U.S. and Europe, partly due to the fact that it had suddenly become so difficult to acquire. The Bobravka River in the Ural Mountain region has historically been considered the premiere source of not only demantoid, but also alexandrite. At present, extremely fine demantoid is being brought out in limited amounts, with commercial material more readily available. 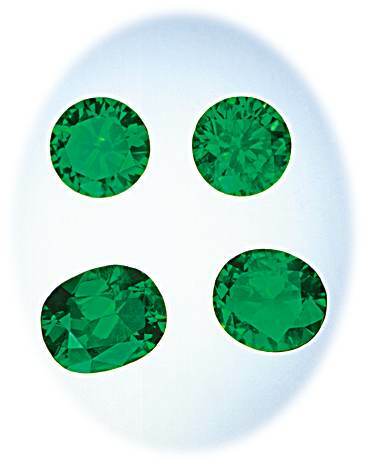 The color ranges from the more commonly found bright yellowish-greens to a much rarer tsavorite-like intense green. Ural demantoids are generally smaller in size than those from the new demantoid mines in Namibia, although the color of the Russian material is a richer, more vivid green. Recent developments in Russia have made it possible for Pala International to acquire an exquisite collection of fine-quality demantoids. Map of Russia, showing the location of Ekaterinburg and Nizhni Tagil. Many people picture the Urals as a cold, barren wasteland but, to the contrary, heavy industry and factories thrive there. The 2,000-km (1,250-mile) long Ural mountain range reaches 1894 meters (6213 ft) at its highest point and marks the divide between Europe and Asian Siberia. Russia lies west and north of the Urals, with the Commonwealth of Independent States (CIS) to the east and Kazakhstan to the south. During World War II, Stalin moved 1,360 factories and thousands of his people behind the Urals for protection from ground troops and air attack. Since it produced 40% of all Soviet military machinery, the area thrived. In the 19th century, Ekaterinburg became the Urals’ most important urban center. Named after Peter the Great’s wife, Ekaterina, this city became widely known as a center for Russian Imperial Lapidary Works. Czar Nicholas II commissioned only the finest skilled artisans to create elaborate pieces that he would bestow upon his beloved Czarina. Ekaterinburg is most famous not only for producing some of the Czar’s most beautiful jewelry pieces but for the role it played in his execution following the Bolshevik Revolution. Having been warned of impending imprisonment, it is said that the daughters and Czarina sewed gems into the hems of their gowns in the event that they were able to escape. After seizing power and fearing sympathy and support from the masses, the Communists imprisoned Czar Nicholas II and his family. In April, 1918, after moving them to several locations, they were brought to Ekaterinburg, where they were executed. Demantoid belongs to the andradite species  a calcium-iron garnet. The stones range in color from pale green and yellowish green (due to trace amounts of iron) to a fine emerald-green (due to trace amounts of chromium). Its refractive index (1.875) and dispersion (0.057 b to g) are both the highest of all natural garnets. Because of the high dispersion, a faceted stone will often show a fine play of prismatic colors. Although byssolite (the fibrous form of amphibole) does form a comet-like inclusion commonly known as a horsetail, past analysis has determined that this inclusion can also be chrysotile (the fibrous form of serpentine). These horsetails appear as fine silky strands connected at one end by a common center and spray out much like the end of a comet. Such fibers can also be randomly dispersed, with no apparent organization. They are an important feature for identification of demantoid. It can be separated from crysolite (olivine) by its single refraction as well as its high SG, demantoid sinking in the heaviest liquid (SG = 3.6) while crysolite (olivine) floats. If encountering demantoid in its rough state; it forms in the isometric system; often in fine sharp dodecahedral crystals. The type of olivine mistaken for demantoid forms in the orthorhombic system with short compact prisms. The characteristics just mentioned for separation also serve to distinguish the chromeiferous rich green material from emerald which forms in the hexagonal system. In 1547, Ivan the Terrible became fhe first crowned Czar of Russra (the word Czar originates from the Latin Caesar) After Ivan the Terrible’s rule  and for 300 years thereafter- the Romanovs epitomized elegance and wealth among the Russian aristocracy. Peter the Great, who ruled from l6821725 was the first leader who maintained a true and active interest in the importance of jewelry and gems. Besides creating Russia’s Navy and promoting education, he transplanted the go1d and silversmrths from Yaroslavl (then the center of religious artisans) to St. Petersburg, where they wou1d create the ornate secular riches for the royal family’s new court. During these times, all of Europe enjoyed an elegant and festive lifestyle. Whenever an occasion arose to dress up (which was often), one would have a piece of jewelry crafted to befit the grandeur of the event, and if you were the host of one of these gala events, it would not be unusual to also commission a special piece for your guest of honor. In a culture that beautified jewelry, every state occasion called for fabu1ous displays of ornamentation. 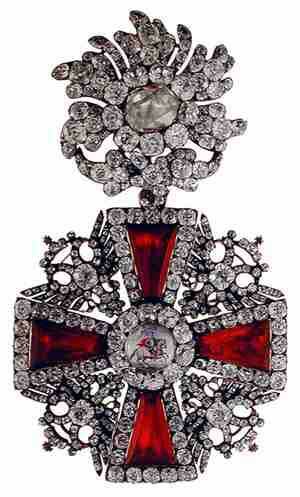 During the rule of Peter I (Peter the Great’) the Diamond Chamber was formed. Peter felt that all of his coronation regalia  sceptors, crowns and orbs, should be a treasury owned by the State. He was influential in helping other nobles to donate likewise. Each subsequent ruler would add additional gems and jewels with the understanding that once these items were donated, they could not be reclaimed. They may,however, be borrowed back for important state functions. The most famous jeweler to the Russian Imperial Court was Karl Faberge, who created royal treasures by blending combinations of enamel, gold, dernantoid and other gemstones to produce priceless works of art. It is also worth noting that not only was demantoid discovered during the reign of Czar Alexander II, but that on his birthday in 1830, alexandrite was discovered. Because of the coincidental red-to-green color change, which also matched the royal colors, alexandrite was destined to be named after the future Czar. Without a doubt, the most tragic and mysterious reign was of Czar Nicholas II and the Czarina Alexandra in the early 1900s. Ironically, most of the beautiful jewelry of the ruling Romanovs was commissioned by the ill-fated Czar and Czarina. Most modern cutters rarely, if ever, get the opportunity to work with rough demantoid garnets of any appreciable size. 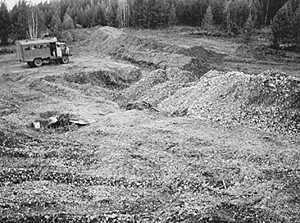 Perhaps the recent find in Russia will make more rough material available outside the mining region. At the present, though, most of our attention is focused on repairs and recuts of existing stones. What has been seen in the industry, until now, are worn stones that have been in jewelry for many years. The relative softness of demantoid (6.5) compared to other garnets (7+) does not seem to cause these gems to wear faster than other garnets, as most stones we’ve seen in estate pieces are well preserved despite their age. Recutting demantoids opens up a world of possibilities for improving the appearance of older faceted stones. Lowering the crown angle to below 30 degrees exploits the high dispersion possible in this material. The high RI makes it almost impossible to create a window, especially in the newer Russian material which often has the benefit of deeper saturation. One should keep in mind that in demantoid the cutter strives not to remove the horsetail inclusions, but to display them. The fragility of the fibers themselves makes it difficult to polish where one breaks the surface, so the goal is to enclose them completely so they are visible. Due to its own intrinsic qualities and scintillation, demantoid is a versitile cutting material, in that almost any shape or cut will create a beautiful gem. In August of 1997, Southern California played host to the US tour of the Jewels of the Romanovs: Treasures of the Russian Imperial Court exhibition at our San Diego Museum of Art. Besides an act of friendship between Russia and the USA, this beautiful display of treasure was to commemorate the 125th anniversary of the first State visit of a member of the Russian Imperial family to the United States. This exhibition highlighted Russian silversmiths, goldsmiths and jewelers from the eighteenth to the twentieth centuries.